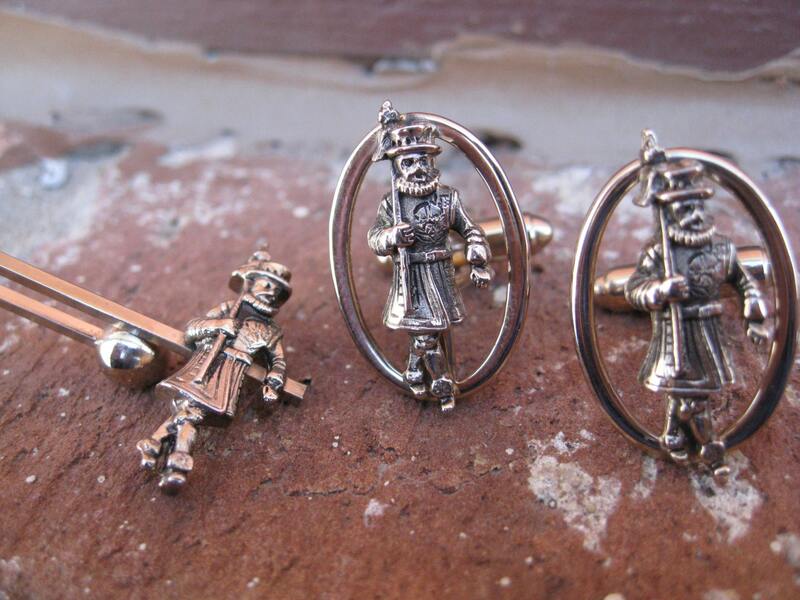 These vintage gold tone cufflinks and tie clip are really unique! 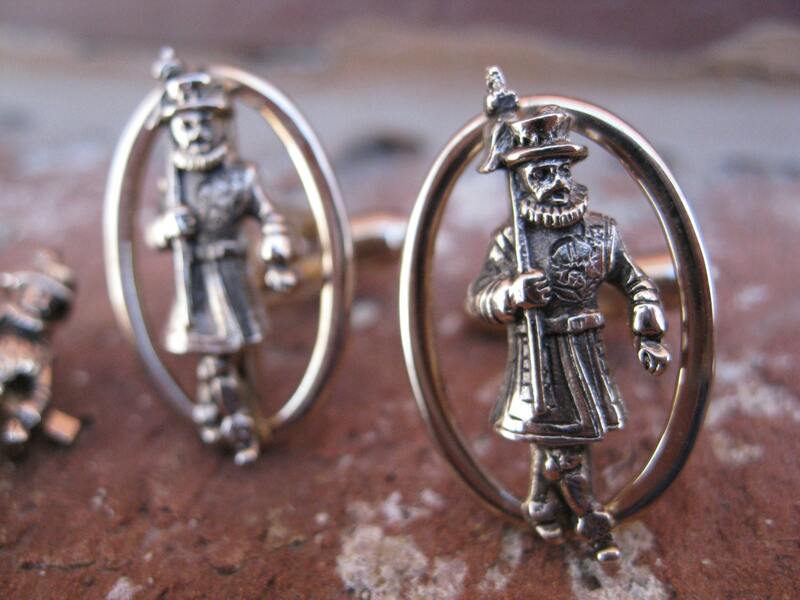 Each piece has an image of a British Yeoman Warder (or "Beefeater"). Super cool! 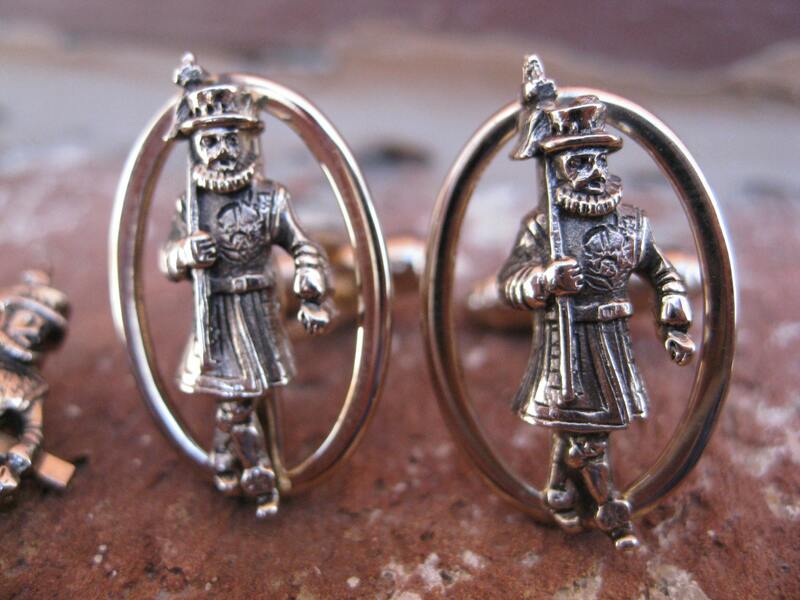 The cufflinks measure 1" x 3/4". The tie clip is 1.5" long. They were made in the 1980s by Dante, and are in good condition. These would be great for any time of the year! 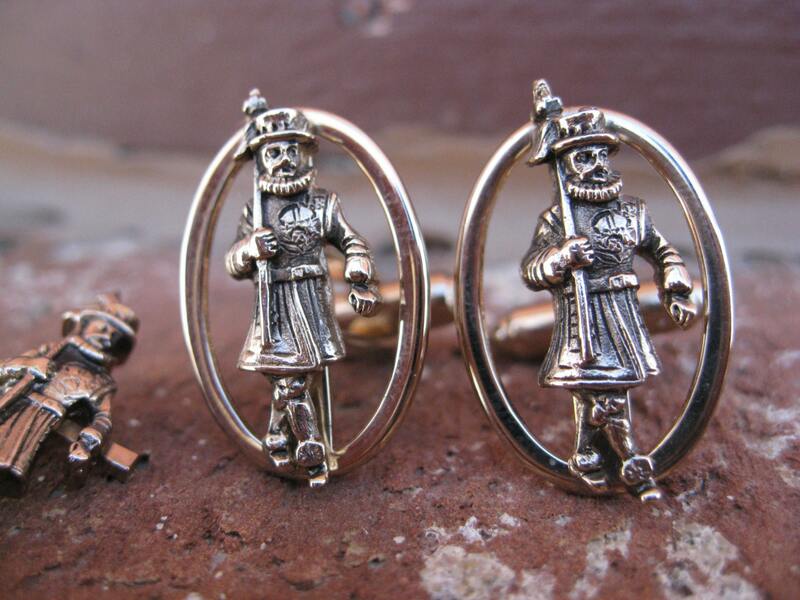 They are wonderful cufflinks for a military historian, a wedding, for a groomsmen gift, for Father's Day, or a birthday.